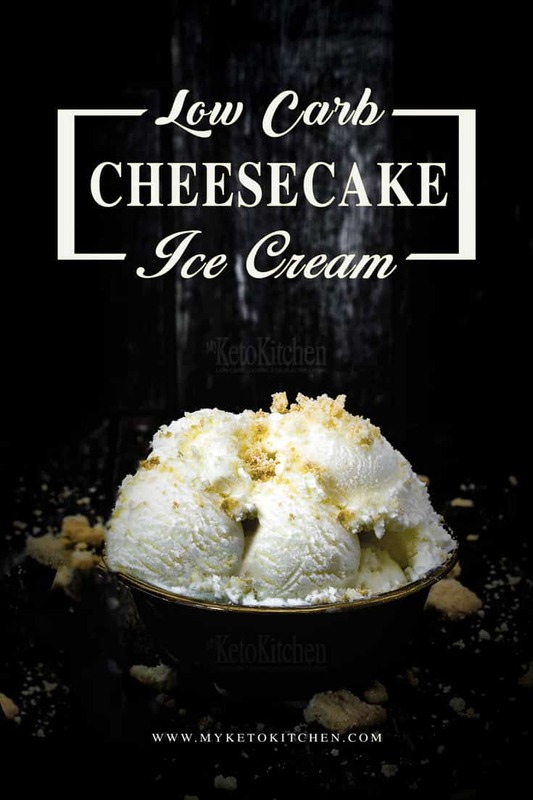 This Classic Low Carb Ice Cream recipe was a special request from one of our readers, Donna. 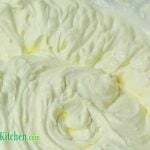 Donna wanted an easy to make low carb ice cream with a different flavor. So we flavored it like our cheesecake fat bombs. Gerri had already made other flavors so she resorted to her favorite keto dessert of course. You will need an Ice Cream Maker for this recipe. Fortunately, ice cream makers are becoming quite affordable these days. Warm the light whipping cream in a saucepan over low heat, until its just starting to steam. 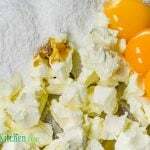 Place the egg yolks, cream cheese, Natvia and vanilla into a bowl and mix with a hand mixer on medium speed until all ingredients are combined. Pour 1/4 of the warm cream into the egg mixture to temper the eggs and mix well. Pour the reset of the cream into the egg mixture. Mix well and return to the saucepan. Heat over a low temperature whilst continually stirring to avoid the eggs from scrambling. The mixture will slowly turn into a thick velvety custard. Remove the custard from the heat and pour into a heatproof bowl, continue to stir for 5 minutes before placing into the fridge. Allow to cool for 10 minutes. Lightly whip the heavy cream until it reach very soft peaks. Remove the custard from the fridge and stir in the lemon juice. 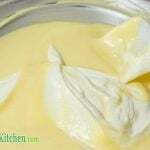 Add half of the whipped cream into the custard and fold in, before adding the remaining cream and folding it in also. Pour the ice cream into your ice cream churner and allow to churn for 25 minutes. Once churned to the texture of firm soft serve ice cream, remove from the ice cream machine and into a suitable container. Place in the freezer to harden for 1 hour. To add some crunch and to give the ice cream more of a cheesecake feel we topped it by crumbling our Keto Shortbread Cookies over it. 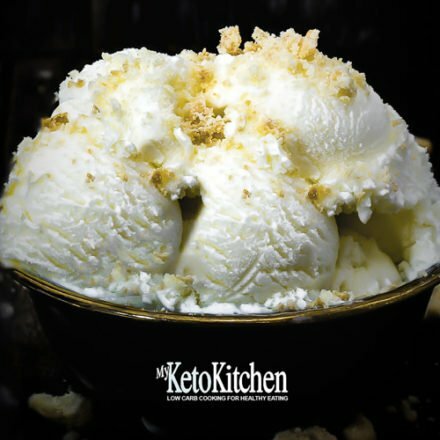 A delicious keto ice cream made by request. Creamy and smooth with a hint of another favorite dessert! 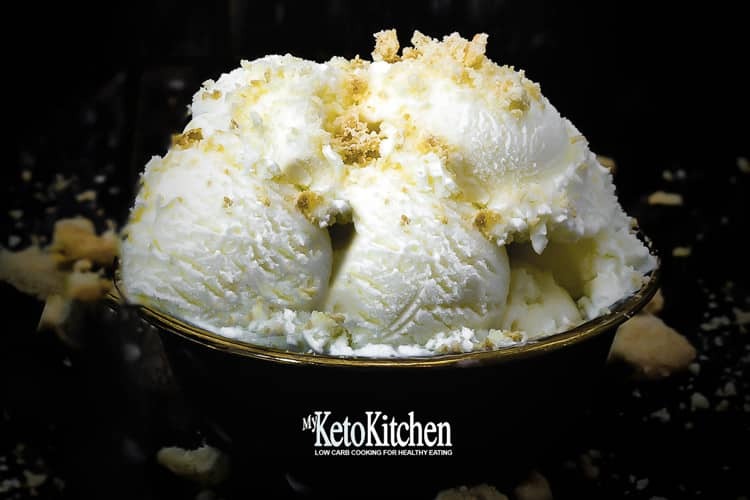 If you want to make a larger batch of Low Carb Ice Cream adjust the serving amounts in the recipe card above.